As the leading tent hire company in the whole of the Northern Suburbs, we have the best marquees for every kind of event, big or small. 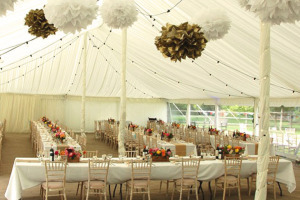 Our marquees come in a wide range of shapes and sizes and are perfect for weddings, garden parties and fairs and fetes. If you need some advice about choosing the perfect tent, then our marquee tent hire specialists are ready and willing to assist. With our services, you can hire exclusive tents for any number of days. Whether you require a tent at short notice, or you want to pre-order for an upcoming event, we are available to service your request. With every order made, we deliver straight to your doorstep and save you the trouble of looking for alternative delivery services. We firmly believe that our tent hire service is best option the Northern Suburbs in the region. Should you need quality tents for a small function, our beautiful gazebos for hire are available for you. Our stylish and dynamic Bedouin tents, should you want to make your event that little bit extra special. What are you waiting for! Call us today on 021 300 3641 for the best services money has to offer.